Canada is currently in an official Federal Election. For readers in the United States, that means that our government is dissolved and political parities are campaigning for votes. All in the longest election in decades – 78 days. 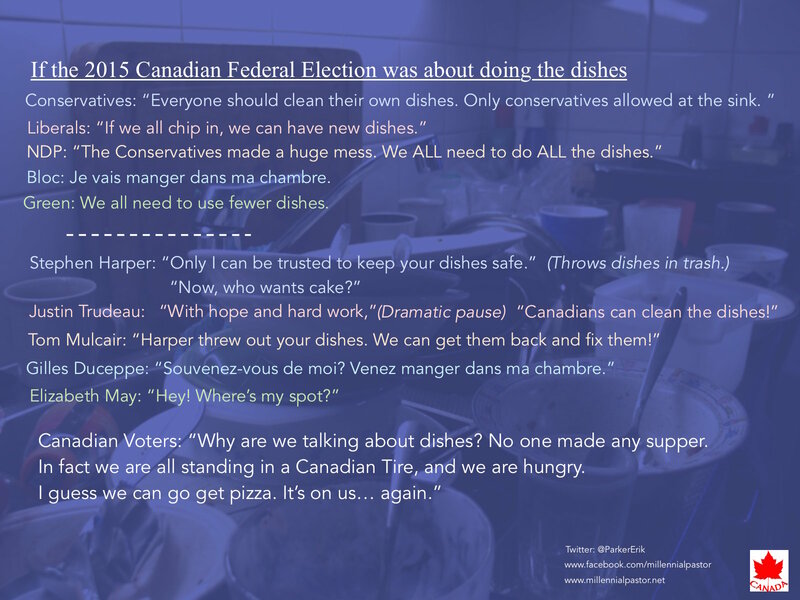 With endless media streaming at us for the next three months, I tried to articulate what the parties would be trying to do if the elections was not about security, the economy, the environment, jobs, etc… but instead about doing the dishes. How creative, and so close to truth, at least that’s about how it would be in this USA.